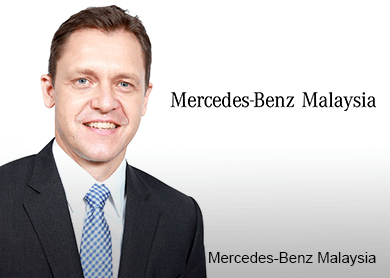 KUALA LUMPUR (June 10): Mercedes-Benz Malaysia has named Dr Claus Weidner as the new president and chief executive officer (CEO), succeeding Roland Folger. He will officially take over from Folger in October this year, while the latter will move on to head Mercedes-Benz India Pvt Ltd as its managing director and CEO later this year, according to Mercedes-Benz in a statement today. With over 20 years of experience, Weidner has held different positions in sales and marketing and corporate strategy at Mercedes-Benz group’s headquarters in Germany, the statement read. He was previously the head of sales and marketing for passenger cars in China and had led the entire Mercedes-Benz business in Hong Kong and Macau, and more recently, Indonesia, where he served as president and CEO of PT Mercedes-Benz Distribution Indonesia. On the new appointment, Mercedes-Benz Malaysia’s outgoing president and CEO Folger said: “My five-year tenure in Malaysia has been a fulfilling experience, and the successes we achieved are a testament to the strength of our team. Folger has led Mercedes-Benz Malaysia since 2011.